Litigation support involves the organization, analysis and presentation of the materials required in a court case. For most people, the problem is not having the evidence, but how to present it so that it makes sense in a court of law. At National Detective Agency India, we provide the best services when it comes to litigation. With our experts having dealt with lots of court cases, you rest assured that your evidence will be sufficient and logical enough for the judge to rule in your favor. Using our services has many benefits as you shall learn below. Before you face the law, you need the National Detective Agency on your side. 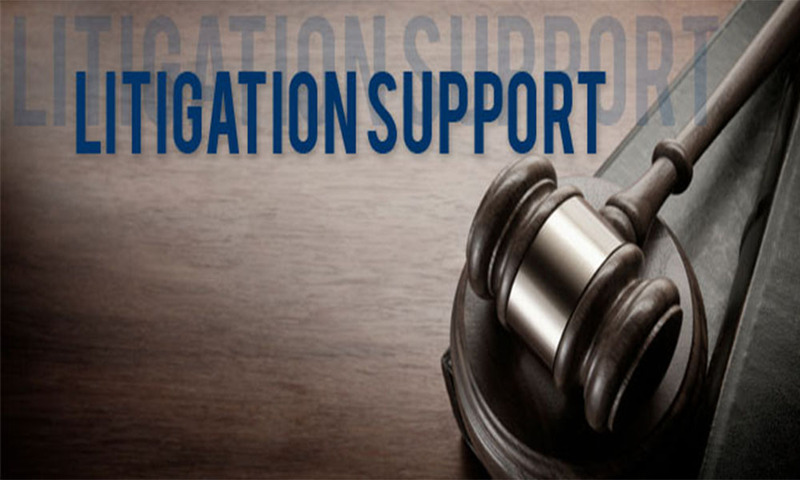 How Litigation Support Service Helps You? The Litigation support service as follows. First of all, we have a proven track record in this field. We not only have helped solve many court cases, we have also given people reasons to keep believing in us. We handle evidence and other court materials with the care it deserves since we know that the quality of evidence determines the ruling of the case. Secondly, we have the best litigation team in the whole of India. We have employees who have undergone rigorous training and have a wide experience in dealing with various litigation materials. We provide the best support in this field by ensuring that the materials you provide are orderly and in the format that is easy for you and others to understand. We have the role of identifying, collecting, preserving, processing, reviewing, analyzing and the presentation of the required materials. Our tag as the best firm in the provision of litigation services stems from our excellent record. With us, you also get the benefit of ensuring that your litigation documents are se-cure and in the hands of the right people. There are many cases of people gathering evidence then watching the evidence disappear on the day of the case. With us, you will not experience such issues since we use top of the range security in storing your valuable litigation materials. At the National Detective Agency India, we offer litigation support that goes beyond the simple handling of your litigation materials. Besides analyzing, storing and presenting the valuable information, we also help you decide on the best approach to your case. We offer advice on what methods are best suited to present the information if at all you are to win the case facing you. Do not be mistaken into thinking that having the required evidence is enough to win the case you face. You need a procedure to present the information to ensure you do not come across as one who simply fabricated the evidence. The National Detective Agency of India should be your partner in all your litigation issues. We will put you ahead of any hurdles you face no matter the complexity of the case at hand. With our experience handling litigation issues, you will be on top of your game in no time. Give us a call and we will be on your case in the shortest time possible.